Security camera catches man doing something for freezing stray dog. It's unthinkable for most people.. This cold and lonely stray dog who had taken shelter from a snow storm must have thought it was going to be a long cold night, that was until a stranger came along and showed her that there is still people out there that care, and to never give up hope! after a recent theft in the city of Giresun, the police were reviewing footage from a security camera looking to identify suspects for the crime, but what they saw was something so unbelievable and unexpected that it moved many of them to tears. What the camera actually captured was loan man approaching one of the city’s stray pups, before doing something he never expected to see. He stopped by the freezing pup, knelt down, gave her some food and even the very jacket off his own back. The Video of this beautiful act of kindness then quickly spread across Facebook, and a manhunt was launched to find the Good Samaritan. 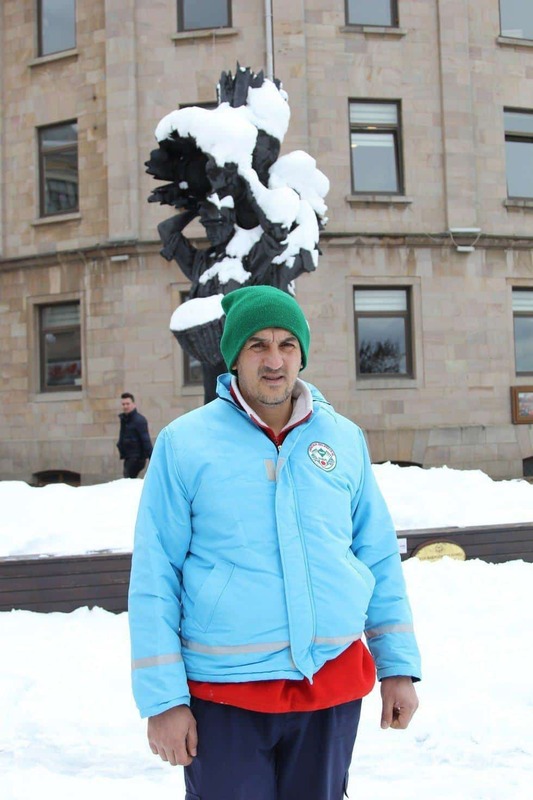 The man in the video is ‘Bülent Kalpakçıoğlu’, a municipal worker in Giresun. You can watch the amazing video below. You can watch the Incredible video below, the question is, would you do the same? He said, humbly, that the act of compassion was the least that he could do to help another being. 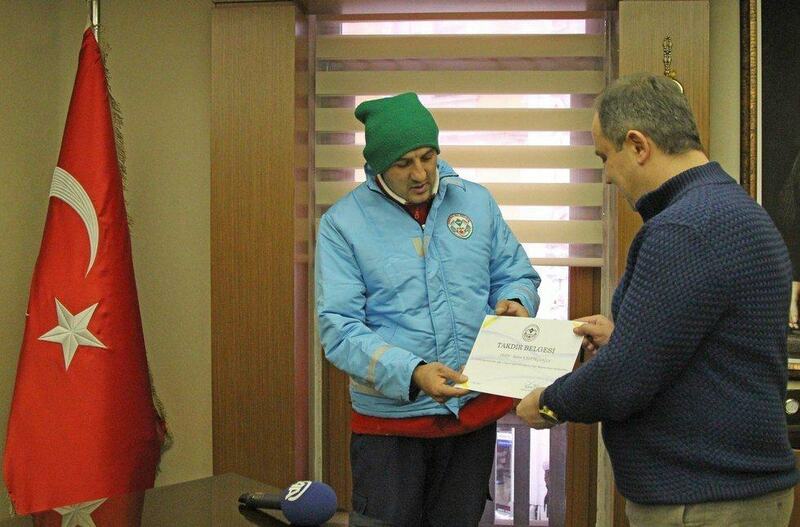 For his unbelievable act, Kalpakçıoğlu was recently awarded a special certificate by Giresun mayor Kerim Aksu. Elsewhere across Turkey, other folks have stepped in to help stray animals keep cosy during the winter cold snap by offering them a warm place to stay. While many of these kind acts go unnoticed, like Kalpakçıoğlu’s nearly did, he says he hopes his story might inspire others to think about doing the same.